3 in 1 Breakfast Maker from HealthyKin.com combines all the breakfast necessities into one: Toaster Oven, Coffee Maker and Frying Pan. 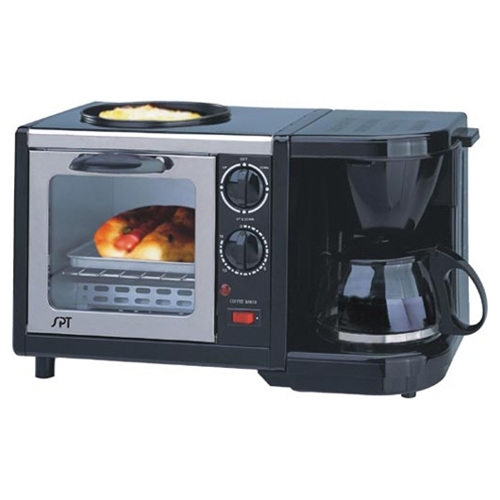 This is the perfect compact appliance for dorms, offices, RV's, studios or wherever space is limited. You can brew a fresh cup of coffee, toast a croissant and fry up an egg all at once!